Home / Luggage Brands / What’s The Best Luggage Brand? We Decide! Whether you’re flying across the world to a exclusive Caribbean resort, taking a break at a bed and breakfast off the New England coast, or simply visiting family and friends in the next state, you take your travel excursions seriously and you’ll want to get the best luggage brand for your money. Luggage in and of itself isn’t terribly different, many of the advancements in luggage (wheels, expandable handles, extra compartments, etc.) can be found in the majority of luggage regardless of the brand. We wanted to take a dive into the brands themselves — which ones will you really get a good quality product that will last you for years to come. 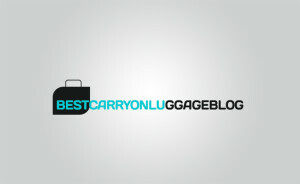 So what’s the best luggage brand? In 1933 the luggage company was started in Providence, Rhode Island by Sol Koffler with his life savings. His focus at that time was to create a suitcase that was not only tough, but that he could also sell for a dollar. American Tourister has grown to be one of the largest luggage brands in the world based on having a quality product at a reasonable price. They also believe that travel is something that should be fun and their line includes many colorful, patterned options. The company offers a variety of travel bags for business and well as casual travel needs. One of the company’s main goals is to have the traveler be prepared for anything. Their focus is on stability in their product line and want customers to have confidence when traveling with their luggage. They manufacture suitcases that are sturdy and built to last. Social compliance is also a part of the company’s business model. It expects the suppliers they work with to treat their employees fairly which includes providing a safe work environment. They also conduct unannounced onsite audits and retain independent contractors to do them as well. Samsonite has been a global leader in the industry for over 100 years and have been at the forefront in producing luggage that offers innovative functionality as well as reliability and style. This manufacturer was founded in 1933 and is based out of Long Island in New York. They are best known for their innovation in the industry as they introduced the external sliding handles that help with keeping the interior flat for packing. Their business philosophy is focused on keeping up with the latest technology in luggage and understanding that travelers have different needs. Briggs and Riley also constantly upgrades their manufacturing processs in order to continuously create lighter and stonger luggage. They also offer a lifetime guarantee on all of their bags. This company has been a leader in the travel goods industry since 1877 and originated in Milwaukee, Wisconsin. Their claim has been a tradition of crafting high quality luggage items. For Hartmann luggage has always been viewed as a stylish fashion accessory. They produce the finest quality products that are always updated to meet the ever changing needs of their customers. Their line includes beautiful as well as practical items such as steamer trunks for railway travel as well as smaller pieces to accommodate shorter trips and airline flights. Design and functionality are at the core of their product line. The company brand was created in 1946 out of Paris, France by a camera case manufacturer, M. Delahaye. Their focus has always been to make luggage that had a discernable style of its own as well as to continuously improve their product. In 1970 Delsey took on the luggage industry by introducing the hard case design; this was the first in the line of rigid bags. In 1984 they created the Helium, which was the first case designed around a flexible framework and also continued innovation in 2013, producing the first piece of luggage constructed with a natural fiber composite. Their objective is to always look to update their designs with a focus on creating more lightweight luggage. They look at luggage as an extension of the traveler, a product to help make their lives simpler. To choose the best luggage brand for you take into consideration the type of luggage that you’ll need for most of your trips. You’ll also want to decide on whether a hard or soft sided case is preferable. For cross country and local as well as train travel soft luggage works well. Consider the investment in a hard case if you are taking transatlantic flights or long distance train trips. This is because your luggage will be sturdy enough to endure the additional handling and storage to keep your clothes from being crumpled and the locks are more secure to contain your luggage to prevent damage. Look at luggage that has retractable handles, wheels and carry on straps for convenience. Make sure to purchase luggage that has expandable zippered sections to pack extra pieces at the last minute as well as store extra items you may come back with when you return. Also consider carry on baggage that meets the airport requirements and will comfortably fit in the overhead compartment if you’ll be flying. Luggage that is durable, secure and easy to carry and transport from the airport and train station helps to make your trip a smooth one. For our money, we love Briggs and Riley. You just can’t beat the quality — it will be something that you’ll have you years to come.